if you really want to see grandma, maybe julian assange could expose her. . .
She’s got the right idea. Run for your life G-Lee!! 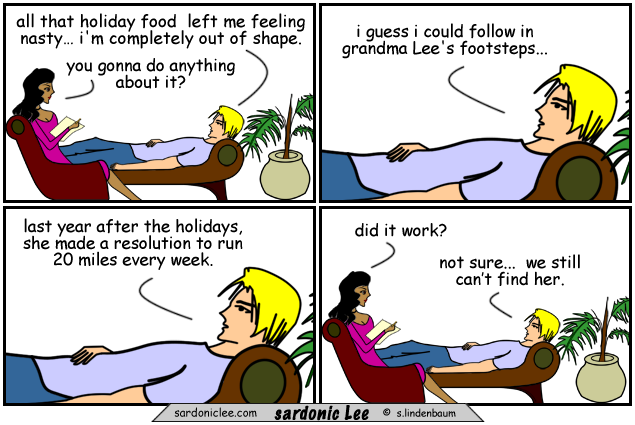 Sounds like you and Grandma are both running on empty, but isn’t that what New Year’s Resolutions are for? Non-committing commitments? Like running away…my every year resolution which never seems to stick. After the holidays I wish some of my relatives would keep on running!